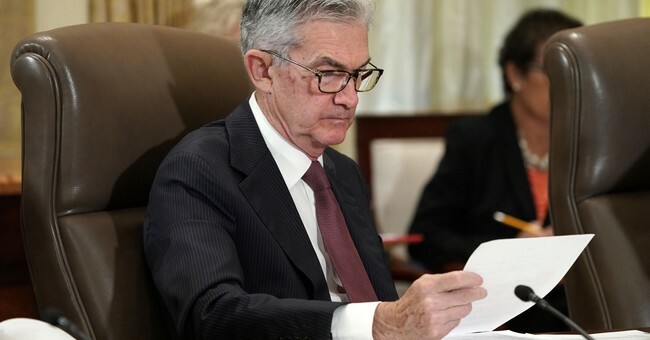 Today, all eyes and ears will be on Jerome ‘Jay’ Powell, Chairman of the Federal Reserve. He will have an opportunity to calm markets; upset since his October 3rd comments about not knowing where the neutral policy was, but sure the Fed had a long way to get there and then would overshoot. Of course, the market peaked during that session, and it has been under pressure ever since. Jay Powell has had numerous chances to bring calmness. While he has acknowledged weakness in the housing market, stock market, and emerging economies, he has done nothing to make investors believe the Fed will stick to a predetermined path of rate hikes and deal with the consequences later. The comments from Federal Reserve Vice Chairman, Richard Clarida, were overshadowed in the media by comments from the White House press briefing that included cameos from Larry Kudlow and John Bolton. The Street gave credit to the rally for that event, but I think the Fed Vice Chairman had a greater impact. The good news is Clarida made the kind of comments that if echoed by Powell today, it could trigger a strong stock market rally (I predicted 500 Dow points on my show yesterday). The basic definition of inflation is too much money chasing too few goods. This is why there is an observation that productivity and hours worked are running fast, and the supply more than meets the demand. Greenspan embraced the “productivity miracle,” that allowed the Fed to lower rates from 6.25% to 1.00%. U.S. Department of Labor and American Enterprise Institute Conference, Washington, D.C. The increase in nonfarm business output per hour over the past year will almost surely be reported as one of the largest advances, if not the largest, posted over the past thirty years. We at the Federal Reserve, along with our colleagues in government and the private sector, are struggling to account for so strong a surge. We would not be particularly puzzled if the increases in output per hour were occurring during a period of very rapid economic growth, such as has often attended recoveries from steep recessions. Historically, such recoveries have allowed overhead and maintenance employee hours to be spread over a rapidly increasing level of production. But during the past year we averaged only modest economic growth. In summary then: given the difficult adjustments that our economy has been undergoing, long-term productivity optimism may currently seem a bit out of place. It may appear even more so in the months ahead should output per hour soften following this period of outsized gains. Nevertheless, it is both remarkable and encouraging that, despite all that has transpired over the past couple of years, a significant step-up in the growth of productivity appears to have persisted. The Core Personal Consumption Expenditures (PCE), excluding food and energy, has been trending lower recently and is down mightily from levels reached decades ago. A report released by the San Francisco Fed on Monday focused on a so-called a-cyclical inflation pressure, which is not reflective of a strong economy, but rather industry-specific factors. Meanwhile, the fourth-quarter Gross Domestic Product (GDP) estimates are drifting lower from 3.0% after the last Institute of Supply Management (ISM) manufacturing report to 2.5% after durable goods and existing home sales. On Tuesday, the market rally was encouraging, and the first back-to-back sessions were buyers emerged late in the day. The big movers, however, underscored the cautious nature of the investors. With Health Care (XLV), Utilities (XLU), and Real Estate (XLRE) leading the way, it’s clear most folks that wanted to be in equities chose safety. Communication Services was led by Verizon (VZ) and Netflix (NFLX).